Are you a coffee lover? Millions of people around the world are—making coffee the most widely traded commodity in the world! Coffee is one of the best ways to get your daily dose of caffeine. Nothing beats the kick a classic cup of coffee can bring. It’s the perfect way to kickstart your day, boost productivity, and even keep you awake when needed. Regular, conventional coffee is great but organic low acid coffee is way better. Think about the many health benefits organic low acid coffee can bring! Lucky for you, Mavericks Coffee sells one of the best organic low acid coffee in the market. If you’re looking to buy rich-tasting organic low acid coffee, you might want to checkout our best-sellers below! Our Midnight Ride Blend is made from hand picked coffee beans from Central and South America. It’s no doubt our most requested and most famous coffee yet. Customers love its sweet and full-bodied finish and we’re sure you’ll keep asking for more once you try this blend. Definitely a must-try! Cupping Notes: Focused bold flavor. Smooth with a full yet soft finish. Clean, pleasant, and sweet aroma. Our Sumantra Mandheling Blend is made from hand picked, slow roasted Indonesian coffee beans that boasts a rich, robust, and dark flavor. 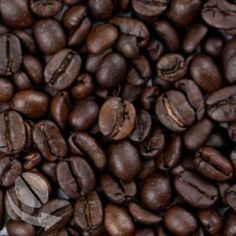 This blend is well-known as the classic Indonesian coffee that’s gained its reputation all over the world, something coffee lovers would surely enjoy. Cupping Notes: Dark overtones, bold and rich flavor, and smooth on the palate. Full bodied aroma. Our Mavericks House Blend is made from hand picked, rich, and medium-bodied Central and South American coffee beans that boast a very smooth finish. This blend is something coffee lovers (or not) would end up liking, thanks to its balanced flavor. It’s our personal favorite blend! Cupping Notes: Smooth with a full and rich undertone just a hint of earthiness. Medium bodied. Aromatic. Our Breakfast Blend is the perfect blend for to kickstart your day. It’s made from hand picked, rich, and medium-bodied coffee beans that boast a smooth finish. Nothing beats the classics, and we’re sure that this artisan coffee will lift you up every day! Our Sequoia Organic Blend is our premium blend that’s made from carefully-selected organic coffee from Central America, South America, and Indonesia. It has a bold yet smooth flavor that will surely be one of the best-tasting coffee blends that you have ever tried. Truth be told, it’s a favorite among our customers! Cupping Notes: Full bodied and good acidity. Smooth taste with a small bite at the end. Full aroma. Distinctive cup of coffee. Mavericks Coffee sells premium quality organic low acid coffee that’s slow roasted to perfection. Our blends are rich-tasting and unique—you won’t find anything this great at our price ranges. Check out the wide variety of coffee blends available today!